Welcome to Shakespeare High: Your Shakespeare Classroom on the Internet! This is a handout I found when I first started teaching (ages ago!). It was in fairly poor shape, so I recreated it on my computer. I've long since lost the original, but I present it here with thanks to its originator! Shakespeare's "small Latin, less Greek"
When did Shakespeare die, from what did he die, and where was he buried? 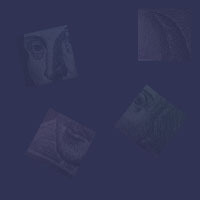 After scrolling through the handout and exploring the related links, you may find that you are interested in learning even more about Shakespeare's life. Mr. William Shakespeare and the Internet has just what you are looking for! © 2001-2018 Amy Ulen & ShakespeareHigh.com. All Rights Reserved. © 1994-2002 Amy Ulen & Surfing with the Bard. All Rights Reserved.